That’s quite a lot of tea being consumed right? 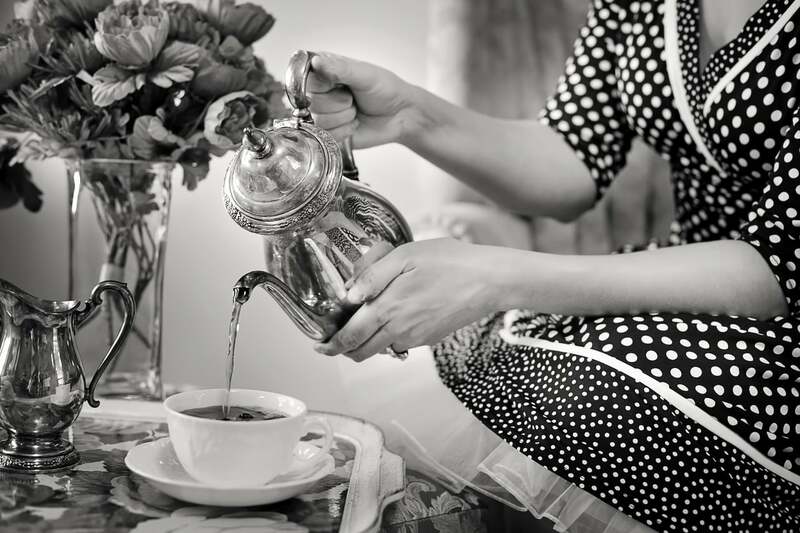 A 2014 BBC report claims India consumes 837,000 tons of chai – tea on a yearly basis. The annual festival of Durga Puja in Calcutta is a popular spot for festival-goers to enjoy tea. However, can you imagine living on just tea? “Our daughter went to participate in a district level tournament from Patna School in Janakpur, Koriya District. When she returned, she suddenly gave up eating food and drinking water,” stated Rati Ram when speaking about his daughter’s Pilli Devi’s three decades old nourishment habits. Evidently, Pilli has been drinking only black tea after sunset once a day for the past thirty years. Her brother pointed out that doctors stated that she was in perfect medical help, despite not eating food. Dr. SK Gupta was quoted as saying, “It is quite strange, no one can survive only on tea for more than 33 years, scientifically. It is totally impossible since 33 years is a long time,” Pilli is in danger of proving Dr. Gupta wrong. According to Healthline.com black tea, Pilli’s drink of choice contains a slew of healthy properties which may explain why she is in such great shape. “Antioxidants are known to provide a host of health benefits. Consuming them can help remove free radicals and decrease cell damage in the body. This ultimately may help decrease the risk of chronic disease,” Dr. Autumn Enloe explains. Dr. Enoloe goes on to explain that “flavonoids” another group of antioxidants which are also found in “vegetables, fruits, red wine, and dark chocolate.” Consuming flavonoids has shown to lower the risk of heart disease; including high blood pressure, elevated triglyceride levels, and high blood pressure. She would also explain that individuals who drink more than three cups of either black or green tea daily saw a 21% decreased risk of stroke, compared to those who didn’t. “Black tea is a great non-sweetened beverage that has been found to help enhance the use of insulin in the body,” the doctor explained when detailing how black tea may help lower blood sugar levels. The doctor also detailed that the polyphenols found in black tea may help prevent cancer cells from surviving within the body. Well, there are numerous health benefits to go with the consumption of black tea. If all reports concerning Pilli Devi’s diet are accurate, it makes sense that she could survive by drinking a substantial amount of tea daily. It would be interesting to know how much tea she was consuming on a daily basis; however, the available science makes her surviving on black tea alone, plausible. Pilli’s own body chemistry and genetic structure must also be conducive to living on such a light nutrient intake and certainly shouldn’t be duplicated without consulting a nutritionist familiar with your body. The unique situation does show the positive properties of black tea. Natural and unprocessed foods that are free of chemicals have shown to provide health benefits. Perhaps, it wouldn’t hurt all of us to enjoy a cup a tea on a daily basis. What’s the worst thing that could happen? Live until you’re one hundred? If black tea isn’t your spice of life, there are numerous tea varieties that could match your flavor profile and give you a relaxing and positive tea experience. Herbal tea, green tea, chai tea, oolong tea, and yellow tear are several of the types available to try.